← 3 keys to a Happy Thanksgiving! 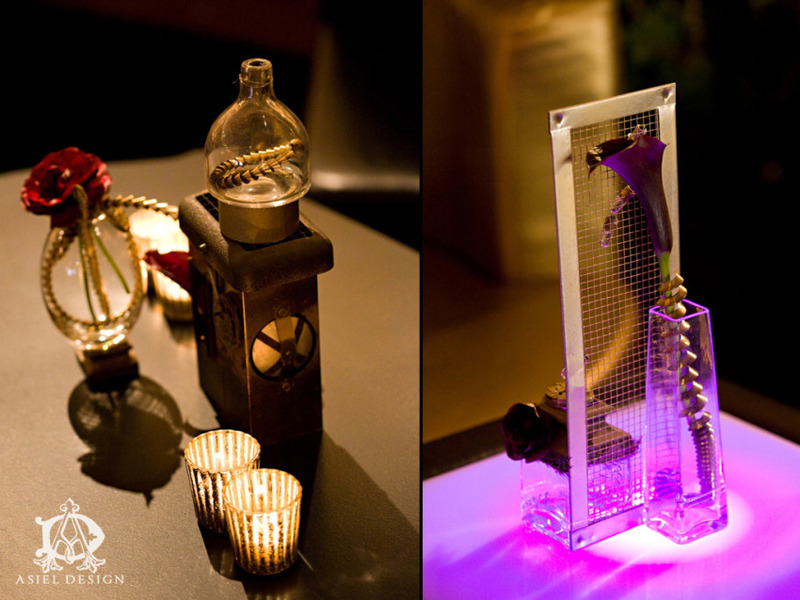 We created a Steampunk inspired design for an industry network event called Martini Madness that was hosted by Duncan Reyes. 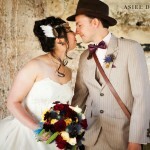 A couple of weeks ago we blogged about the cocktail hour that led into this reception. 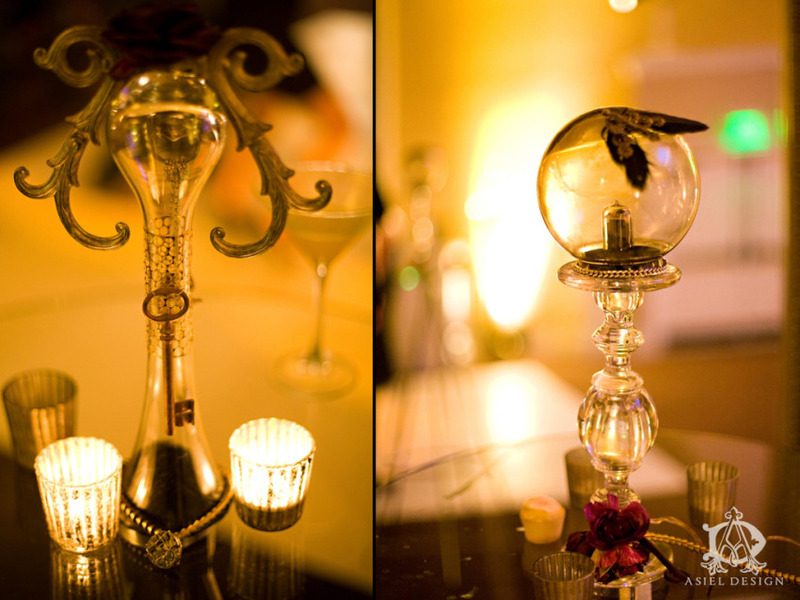 That blog is called Steampunk Subculture and it focused on the intricacies of the centerpieces for this event. 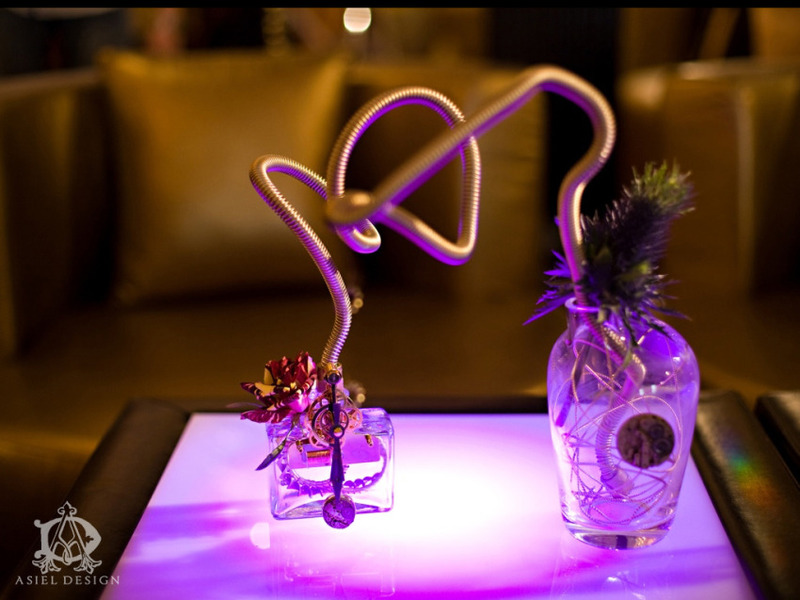 Today’s blog focuses on the overall design and statement pieces that we brought to transform the Oceano Hotel and Spa. As I look back on this event, I do so with fond eyes. 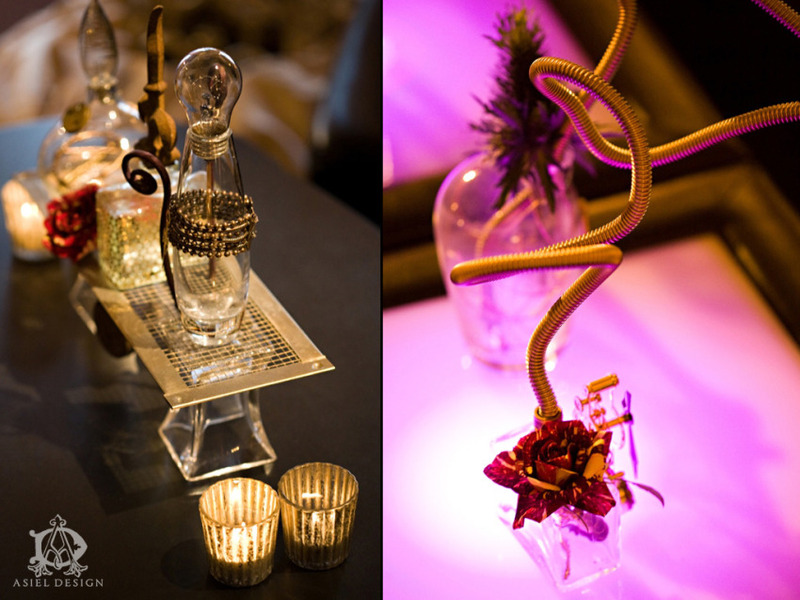 I remember how we got to play with new design elements such as salvaged materials that appeared in the centerpieces. 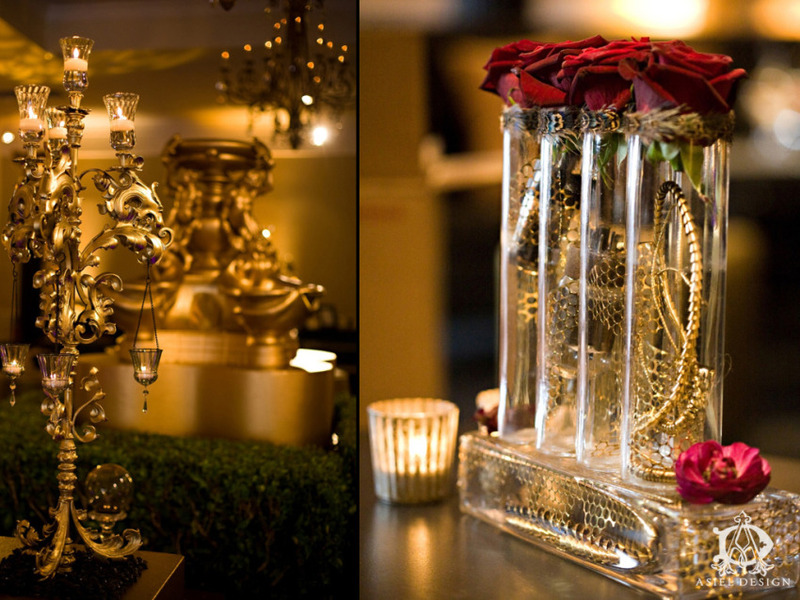 I also love the way that these discarded items played so well with an opulent ballroom design. 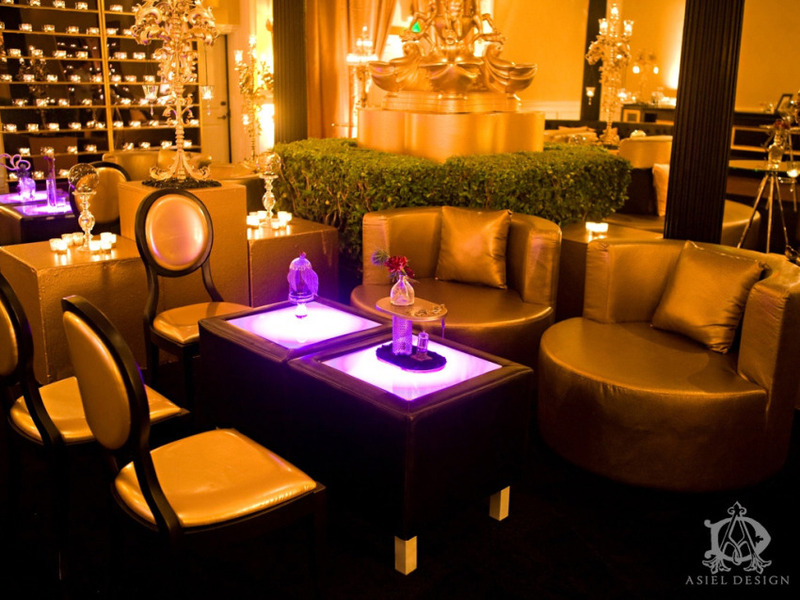 The feeling in the room was grand even though the details of the design were not. The design was an interesting juxtaposition of two worlds that came together in an unlikely harmony. 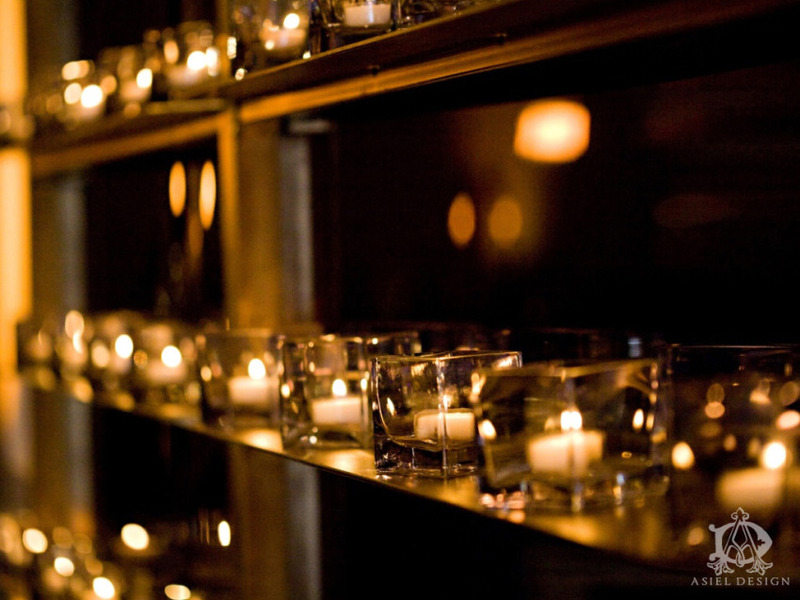 For the statement pieces throughout the room, we used many of our custom wrought iron pieces. 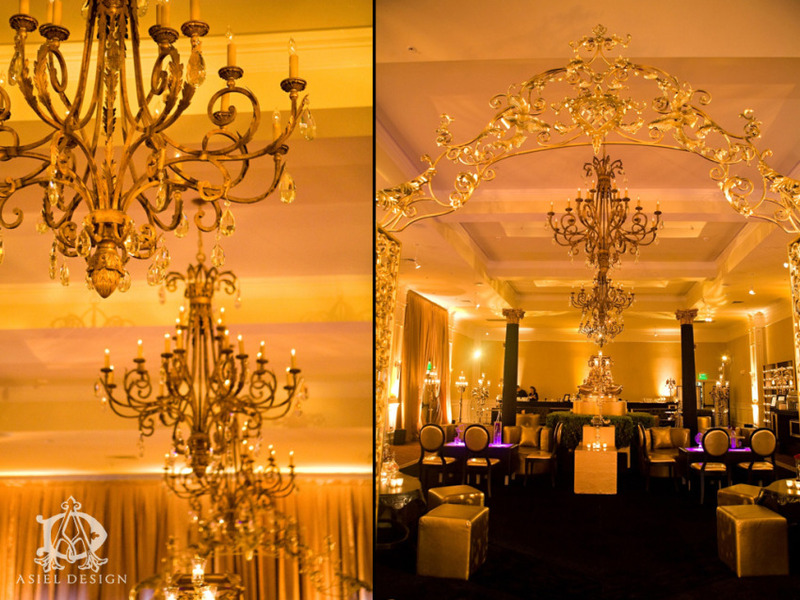 This was apparent in the entrance of the room that exhibited our European inspired archway. 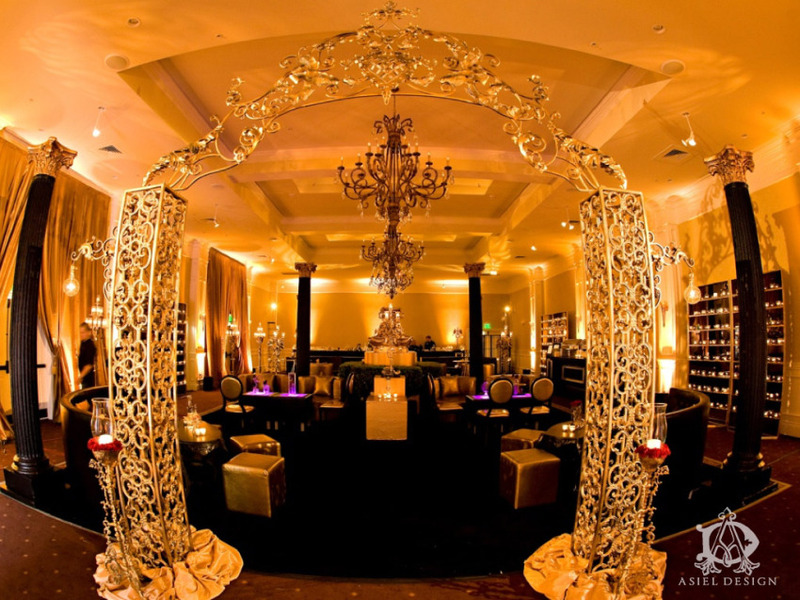 This over-sized entrance piece was flanked by ornate brackets that held decorative light bulbs. 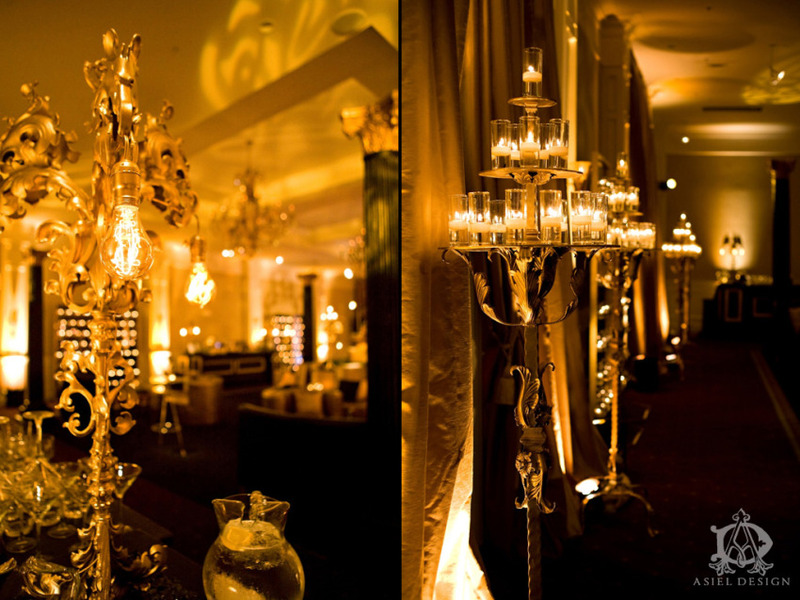 We also used our Lion Stands both as candelabras and with electrified Marconi light bulbs that made these pieces even more unique. 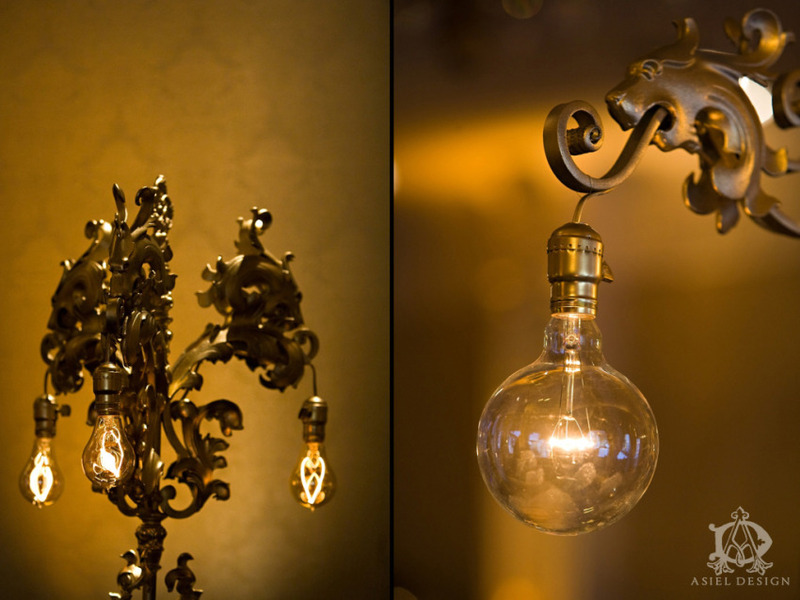 I’m happy to say that we were one of the first event design companies that popularized the usage of antique styled light bulbs, and still use them today. 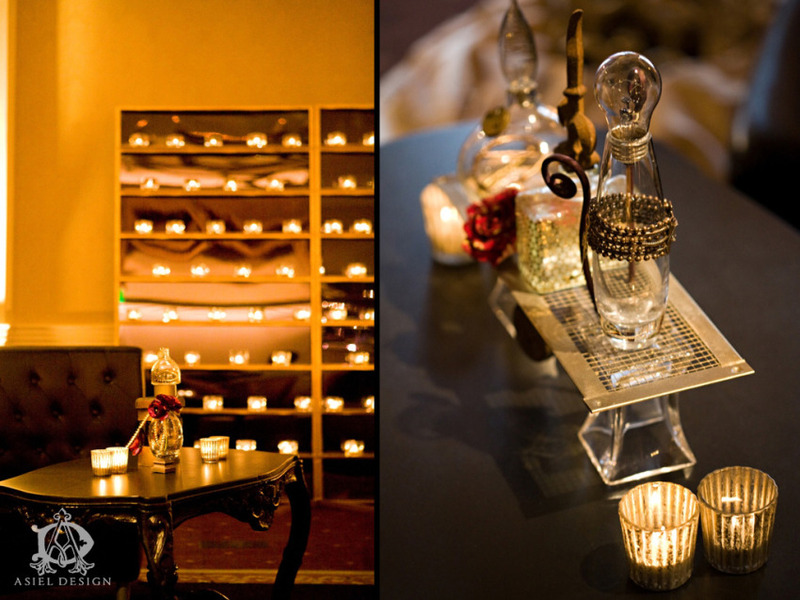 Finally, we also displayed our custom candle-walls and 3-tiered candelabras around the perimeter of the room to create the dramatic look. 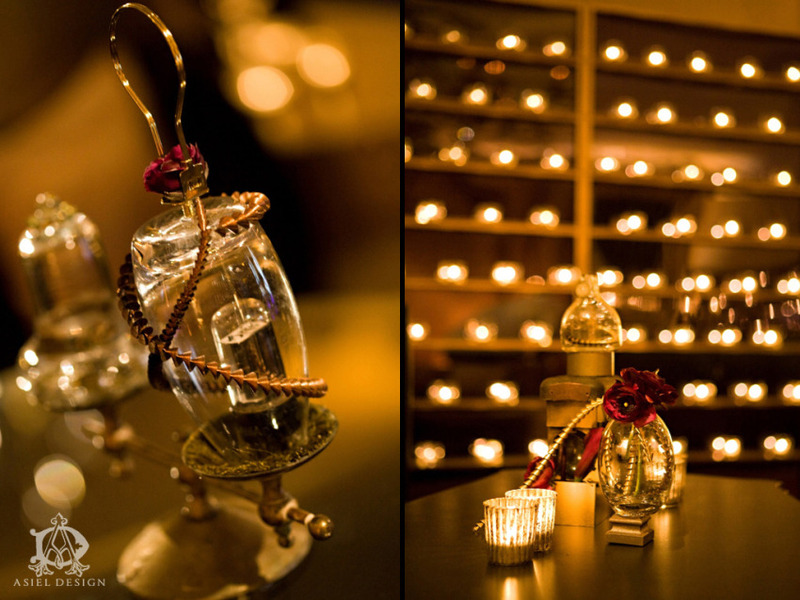 With rustic, moody design elements combined with the deep-set colors and ornate floral design, the Steampunk Reception event theme creates the perfect atmosphere to transport you and your guests into another world – Steampunk Subculture. 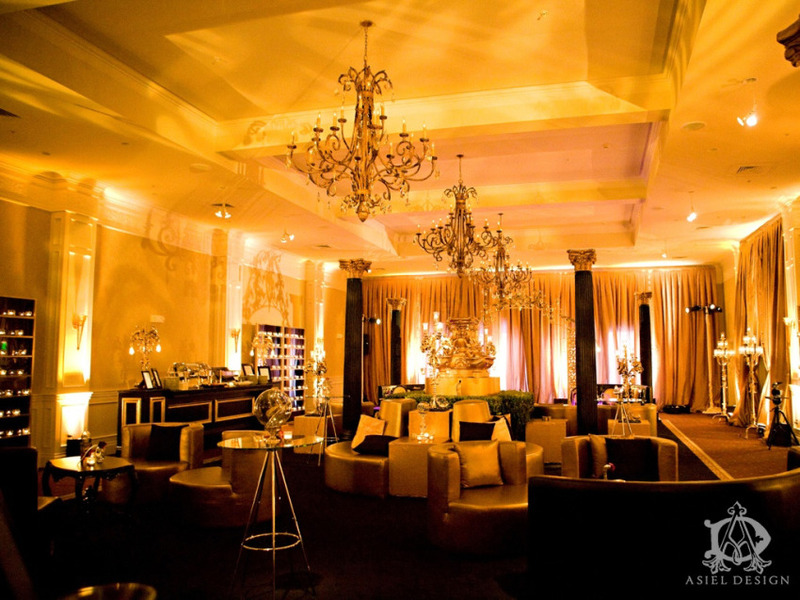 It is always a pleasure to work with the Oceano Hotel and Spa in Half Moon Bay and Duncan Reyes for this magical networking industry event, Martini Madness. 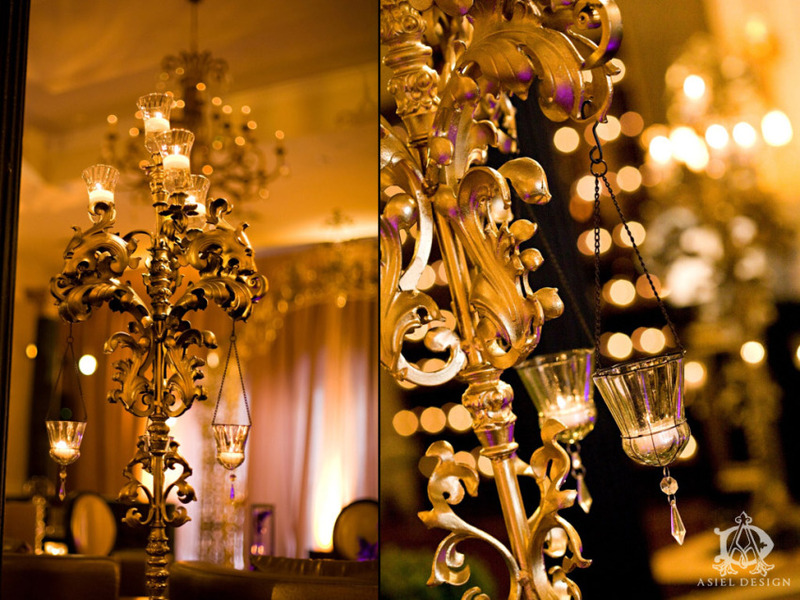 This entry was posted in Black, Event Design Clients, Favorite Posts, Gold, Gothic, Green Events, Oceano Hotel & Spa, Steampunk, Trendsetting and tagged asiel design, Duncan Reyes, Duncan Reyes events by design, Event design bay area, Event design steampunk, industry event, Oceano Hotel and Spa, Oceano Hotel and Spa Half Moon Bay, Orbie pullen photography, Steampunk asiel design, Steampunk centerpieces, Steampunk events, steampunk inspired, steampunk wedding theme, Steampunk weddings, steapunk floral design. Bookmark the permalink.